Watsaporn Wattanakul วรรษพร วัฒนากุล (Thai: วรรษพร วัฒนากุล), nicknamed Eiam (Thai: เอี๊ยม). Watsaporn Wattanakoon was born on October 15, 1987 in Bangkok. A beauty queen 22 year-old joined the Miss Thailand Universe 2010 and she won first runner-up and was also crowned Miss Thailand Earth on March 20, 2010 in Bangkok, Thailand. She is currently studying 4th year Bachelor of Communication Arts and standing 170 cm. 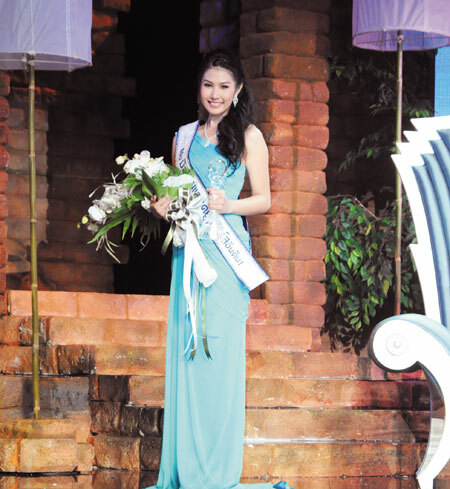 She represented Thailand in Miss Earth 2010 beauty pageant on November at Vietnam.